The kitchen in your home, rented and commercial property will be rid of the grease, crumbs, food wastes and dust which it had accumulated if you use our services. Our staff will take care of the impeccable state of all appliances, furniture, shelves, countertop, sinks, taps and floor. They will de-grease the oven, microwave, worktop, fridge and all appliances. Use our professional kitchen cleaning services which we provide in Tottenham N17 to ensure the hygienic state of this room. They will protect you from pests, food poisoning and ensure a healthy cooking area. If you rely on our staff to ensure the hygienic and presentable state of your kitchen you will have more free time and well sanitised cooking area. They will arrive at the appointed day, supplied with the necessary equipment for cleaning and do the necessary work. They will sanitise the ventilation system, defrost and clean inside and out the fridge, freezer, oven, microwave and the rest of the appliances. 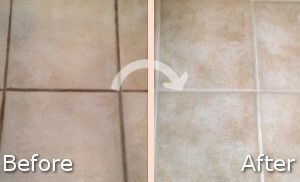 Our staff will wash and remove the lime-scale from the sink, chrome surfaces and tiles. They can provide the kitchen cleaning which every customer needs in or near Tottenham to ensure the hygienic state of the cooking area. Our services will reduce the risk of tainting the food, ensure perfectly polished and disinfected food preparation surfaces. Use them to maintain the kitchen in your home, restaurant, pub and other property in healthy condition. We guarantee you that all stains, burnt food, crumbs, greasy marks and spoilt food will be removed from your kitchen. Our cleaners will hoover and mop the floor, scrub and sanitise the extractor fan, appliances and furniture inside and out. 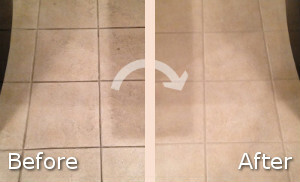 Use our kitchen cleaning services which we provide in N17 to property owners of domestic and business estates. They are professional, effective and offered at competitive prices.